Updated: The Multi-Event Registration Add-on is now available. I don’t know how else to put it, except to say that this is really awesome functionality! Gone are the days when people can only register for one event at a time. We have been developing a system that allows people to register and pay for multiple events at one time. The theory is that when it’s easier for your attendees to register for more events you will sell more tickets; and with the Multi-Event Registration System it couldn’t be easier. Register or Add to Cart and Add More Events links – This gives the person the opportunity to immediately register for the single event or continue shopping to add more events to their cart. Multiple Event Payment – The person registering can pay for an unlimited number of events at one time (paid or free events), all from one page. 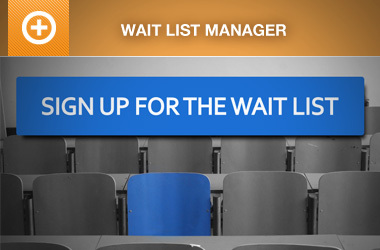 Single Registration Page – The person registering can register for all the tickets they are purchasing all from one page. They can click a check box to reuse an attendee’s information or enter all new information for a different person. This new addon will be very useful in situations when you want attendees to register for a main event and also sub-events such as conference breakout sessions; when your events are for the entire family, but you want each member of the family to register for separate events; etc. This new addon has taken a long time to construct but it’s nearly done. We are accepting applications to beta test the multiple event registration addon, and you can follow the multi-event registration development progress in the forums. In order to keep the base-price of Event Espresso low for those who do not need this functionality, this addon will be sold separately for about $40. 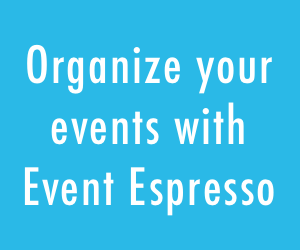 We encourage all Event Espresso users to consider how the multi-event registration system can help you save time and sell more tickets. The multi event option is just what I’m looking for. I’ve just accepted to head up my district’s Boy Scout Merit Badge College and was searching for a way for parents to be able to sign their scouts up for multiple badges. By making each badge an event, they can choose multiple badges (events) and register and pay for them all at once. Have you signed up for the beta? The beta has been sent out to everyone that signed up. We are looking for as much feedback as possible. That’s exactly what this will do. We’re very excited about this too! I am new customer and in the process of designing a site for a non-profit organization with 31 chapters. This plugin will come in handy for conferences as well as webinars. Will we be bale to apply special package pricing? Say, for example, if the person registers for three events, can we knock 10% off the total amount due? Just having one person paying for three events that way would more than pay for the extra $40! Volume discounts are not configured. 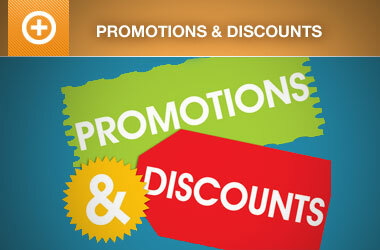 But you could offer them a % discount which offers the same incentive. There will be new features added to this addon, eventually. Just what I’m looking for. I’m using this registration for soccer camps, and I while I definitely will buy this function when it’s ready, I’m wondering if upgrading to the pro version will give me more functionability to use it as a non-conference type of event… For example, the “additional attendees”… is there a way to change that phrase or hide it in the free version or the pro version? Also, can you give a timeframe when this new functionality will be ready so I know when to check back? Thanks for the plug in! In the pro version you can turn off group registrations (the additional attendees functionality). I can’t give you an exact date, but I’m expecting the multi-event stuff to be done (hopefully) by the beginning of May. We’re still finishing some development, then we need to do the beta testing. I’m curious to see how the sub-events will be listed and handled within an event. We have a client moving over from a large, overly-complex and clunky registration system. One of the big things we’re waiting on (and were hoping not to hack away at) is selling multiple “workshops” and “conference sessions” in addition to the conference registration. If the functionality is really built around this it would be great! While multiple event registrations with a single transaction is important, the sub-events hierarchy is crucial to us. I’m crossing my fingers that “sub-events” are handled within a main event to avoid complicated registrations and simply bad UX. We’d also be happy to beta test. Should be good to have a development team and actual customer testing it out. I am also a new customer and hoping this will allow me to have sub-events with different dates under a series. I post non-credit graduate courses for a local university as part of our educational non-profit. My first problem is that I can only show one start date. I want to advertise courses as part of a series with multiple start dates. In addition, I want the ability to create a tag for the sub-event which can be a field in the confirmation e-mail. Will this feature all that? Thanks for the updated information. I would like to bookmark this page. Will this feature be free with the developer’s license? Have you signed up for the beta? the beta has been sent out to everyone that signed up. When is this going to happen guys? It’s been nearly a month since you said it was “soon”, and unfortunately I’ve got a client who can’t wait to use your system who must also wait for this plugin. Is there any update you can give, or a definitive release date? I recognize these things take time, but I feel like it’s been promised for a while now…sorry, but feeling frustrated. Have you signed up for the beta? There has been a major update to the Multiple Events Registration addon. If you are a beta tester, please be sure to provide us as much feedback as possible, so we can officially launch this addon. It would also be handy if a payment plan facility could be included. For example, if someone books 3 or more events, they don’t have to pay the entire amount upfront, but just a deposit and the balance at a future date to be specified.